It will comfortably accommodate up to six people. The large master bath includes a large soaking tub and a separate oversized shower. Take your pick from a wide variety of natural soaps, lotions, bath oils and salts for your relaxing pleasure. 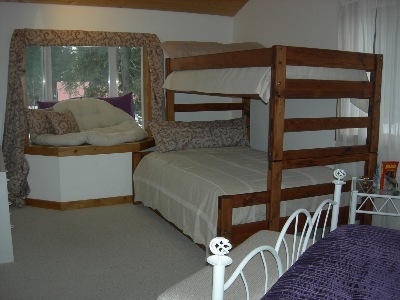 The small downstairs room offer a full bed and sleeps 2.